Home/Pet Care Centre/Get your pet fire plan ready now! Get your pet fire plan ready now! With predictions of extreme weather this summer, families are being urged to have a fire plan – which includes ALL members of the home. Whatever pet you may have, whether that be a dog, a cat, a bird or a rabbit, they deserve to be considered too, in the event of an emergency. A few unfortunate losses from house fires this year have highlighted just how important it is for pet owners to plan for the unexpected. An example was a woman who was rescued from a house fire in Ingleburn, NSW in August. After the incident, she was reportedly left devastated from the loss of her dog and two birds. Meanwhile, animal organisation – Dogs NSW are also calling for pet owners to act now before it’s too late. “It’s crucial to understand how to protect your property and most importantly yourself and your family, including your pets, from the threat of fire! A Bushfire Survival Plan must include your animals,” said Hugh Gent as a NSW RFS captain and president of the Australian National Kennel. 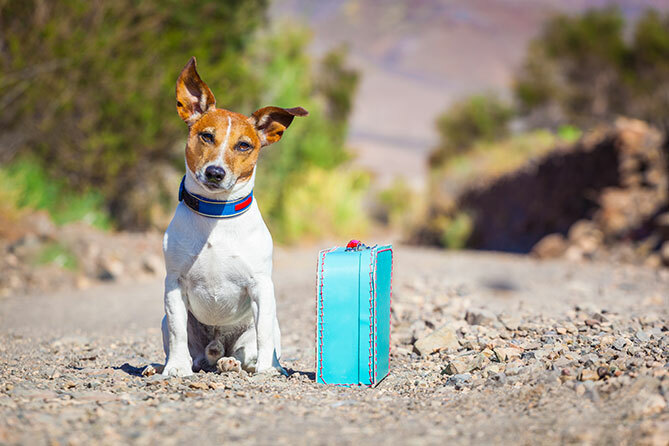 “In preparation for an emergency, make sure your pets are wearing a collar and ID tag at all times and they have updated microchip details with a mobile number. Ensure your home has smoke alarms and other fire safety equipment. Think about where your pets are stationed in the home. Consider whether they may be best outdoors or if they are living inside the home, place them close to an exit or door. If you have multiple pets, it may be a good idea to station them together in one area of the home. Do your research and consider getting pet insurance in case your dog or cat is injured and needs vet care. Microchip and secure your pet with a collar in case they get lost in the midst of an emergency. Practice exiting the home and ensure all exits are clear and no doors or windows are jammed. Think about your pet’s personality and how they would react in a house fire. Have an emergency kit in the car for your family and pets. If there is a bushfire threat in your area, leave early. Have crates and dog trailers ready to go. Do not just drive off without a plan. Pre-plan where you’re going to relocate to avoid danger zones. For more information about getting fire ready visit the rural fire service website.